Soul legends like Sam Cooke grew up in Bronzeville, but lately, all you can sing is the blues. That’s because your apartment is totally short on space, and you have no idea where to store your extra stuff. Should you rent a truck, buy boxes and tape, pack your stuff inside the boxes, and then haul everything to a self-storage unit? No way, that'd be a waste of your hard-earned money and precious time. Instead, use MakeSpace: Bronzeville storage that comes to you. Simply schedule a pickup, pack your stuff, and that's it. We’ll come to your home, move your stuff into our truck, and transport it to our secure storage facility. Think you'll forget what you packed? You won't. Because we’ll also create an online photo catalog of your stuff so you never forget what you have in storage. Need something back? We’ll deliver it to you. Now that MakeSpace has taken care of your storage woes, you’ll finally be singing a happier tune. Schedule a MakeSpace pickup, pack your stuff, and then relax because we'll take care of storing everything for you. "Had a great experience with MakeSpace great quality movers took the time to wrap all of the furniture before moving it, which made my wife feel extra comfortable about them moving our newborns baby furniture. They were professional the entire time." 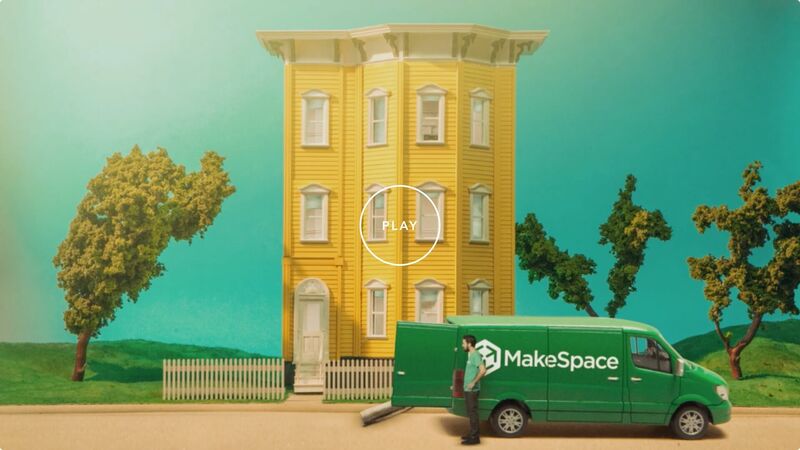 "I absolutely dread moving so I was super excited to find a service like MakeSpace! I needed a place to store some of my furniture and clothing between my apartment leases. I needed a service that would pick up my items and store them for me, which made MakeSpace ideal. It was such an easy process." "MakeSpace was a great option for me since I needed both a storage and someone to help me move. Plastic boxes were an extra plus, especially the wardrobe box was a fantastic idea that saved me so much time and effort in packing. Thanks to MakeSpace, my moving became less chaotic and more fun!"